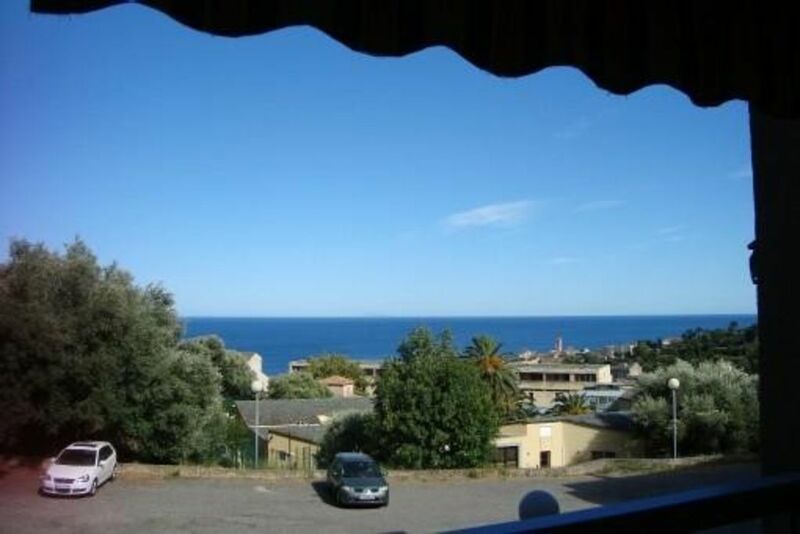 Air-conditioned apartment, all comfort, on the heights of Bastia. Composed of a large living room. The kitchen is separate. Large covered terrace with garden furniture and deckchairs. Beautiful sea view. Located in residential and secure area; a remote control is given to you upon your arrival for access to the residence (electric gate). Possibility 1 more sleeping for child. City Centre: 1 Km: Place St Nicolas, Old Port, museum, theater, citadel, Cap Corse with its Genoese towers, its sandy beaches, etc..sortie possible in the day to visit the island of Elba (Italy) ..